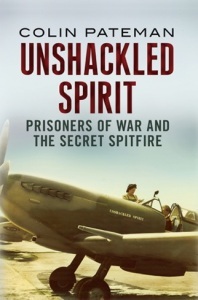 Unshackled Spirit was a unique ‘Spitfire’ fighter aircraft purchased by allied prisoners of war whilst imprisoned in Germany; the book explains how this remarkable achievement was possible using previously restricted and secret material. In addition, accounts are compiled from a collection of original YMCA personal wartime logs as issued to RAF prisoners of war in 1944. 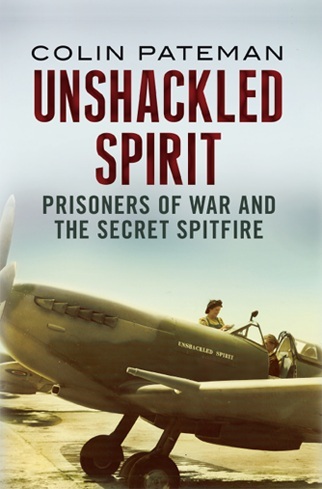 ‘Unshackled Spirit’ draws out the story of each aviator, how they became a prisoner of war and life in the various camps across occupied Europe. Extensive and amazingly detailed pieces of artwork are taken from the logs and illustrated in the book. The balance of fact and inspired drawings makes for an impressive collection from a number of incarcerated aviators. The hardship of POW’s and the extraordinary means adopted to escape are touched upon, but more importantly the aspect of how agencies helped by supplying all manner of equipment to the thousands of men behind barbed wire. The role of MI9 is revealed and how it participated in those agencies exploring the efforts taken to smuggle escape material into the prisoner of war camps without breeching the Geneva Convention and finally the extraordinary measures taken to secure intelligence during the process of prisoner repatriation.